Unless you have been living under a proverbial rock for the last ten years, you know what an ebook is. 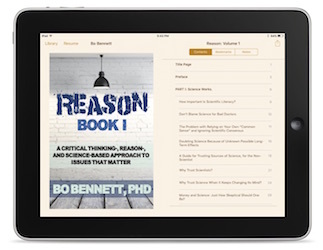 For the benefit of those of you who don't, an ebook is an electronic book that requires an ebook reader either in the form of a piece of hardware (as in the Kindle or an Ipad) or software that runs on your computer (e.g., iBooks or Kindle for desktop). This article will show you how to create an ebook, specifically, a standard / reflowable ebook from an existing Word (.doc or .docx) or similar document, i.e., Apple's Pages (.pages) or Open Office document (.odt). If you are willing to learn some new technology, and you don't mind putting in the time, you can do this for little or no cost. And don't worry about getting stuck—there are professional ebook services available to you every step of the way. This document assumes that you already have your book in an editable format, such as .doc, .docx, .pages, or .odt. If you don't, you will want to convert your document to one of these formats for best results. This document also assumes that you are creating a reflowable epub and not a fixed layout (e.g., coffee table photo book, children's book with text over photos, etc.). Formatting is both an art and a science and is the first step in creating an ebook. The art part has to do with layout and changes that make your book visually appealing. The science part is the technical aspect that makes the ebook work as it should and enhances the user experience. It is this latter part we will go over in this step. Keep in mind that ebooks are quite different from the printed book. There are many limitations you have to deal with when creating an ebook that is reflowable, for example, you can't choose the exact placement of photos in comparison to the text. These limitations frustrate some people, but keep in mind that the upside is that your book has a universal format that can be read on virtually any ebook reader. Here is a list of formatting suggestions. For complete details, see our short guide to preparing your files for ebook conversion. Remove all headers and footers. Ebook readers automatically add their own headers and footers. Remove page numbers. Ebook readers reading reflowable ebooks do not use page numbers since users have control over the text size. Also, remove all references to page numbers in your book (e.g., "See page 12"). Use heading styles. Do not create the headings by simply applying text styles to each header; use the proper heading styles to set these, so the conversion software is consistent and knows how to handle headers. Use first line indenting. This is the best way to separate paragraphs consistently. Insert page breaks between chapters and/or major sections. Page breaks work well in ebooks and lets the readers know when the chapter or section is over. Unwrap all images and center them as inline images. Remember that reflowable ebooks do not allow text to wrap around images. For best results, just place the image after a paragraph and center it. Use .jpg images. Add a title page. All ebooks should have a page with the title and author name. Add a copyright page. All ebooks should have a page with copyright information and ISBN (this can be combined with the title page). Make sure your TOC is automatically created by the software. Do not try to manually add a table of contents. Word processing software includes a TOC feature—use that to create your TOC. This is another reason to use heading styles. Include the cover image as the first page. It is okay to add this as a floating image. See the next step for more details. Again, we are talking about an art and a science... but this time, it is more of an art than a science. Unless you are really good at graphic design and have a good eye for colors, fonts, layout, etc. I would strongly suggest leaving this step to the pros or asking an artistic friend for help. People really do judge a book by its cover, especially when we are literally talking about books! Assuming you are creating your own cover, here is what you need to know. Check this page out for some sample designs. Creating an ebook means converting your document into one or more of the several ebook formats. The most common are .epub, .mobi, and .pdf. If you convert your book into these three formats you will be golden. PDF. Let's start with .pdf since this is usually as easy as exporting the document to .pdf from within your word processing software. If you do not see that option, try one of the many simple and free online tools such as https://www.freepdfconvert.com. EPUB. Now things get more complicated since you can't simply export to .epub. If you have a .doc file, you can use our free online converter which is still quite simple. If you are willing to give up the simplicity for a heck of a lot more functionality, download the free conversion software Calibre and check out that site for detailed instructions on how to convert to an epub. MOBI. If you have Calibre, you can also export to .mobi. You will only need your .mobi file for Amazon, and Amazon will automatically convert your .epub file for you. The upside is that you don't need to convert it to .mobi yourself. The downside is that it is an automated routine with no options, so you may not be happy with the results. If you are willing to invest money in this step, there are professional services that can handle this conversion for you and make sure your book looks great in all three formats. Automatic converters are terrific these days, but they are still far from perfect. The imperfections they leave behind could be enough to cause readers to leave poor ratings on Amazon and Goodreads. This is unfortunate since prospective readers generally can't tell the difference between bad ratings due to the quality of the ebook conversion versus bad ratings due to the quality of the writing. It is for this reason that you should test your ebook files. Note: you will need a .mobi to test the .mobi file... if you planned to let Amazon convert it, you would not have access to that file yet. Depending on whether you have a MAC or a PC, you will have access to different software to test these files. For example, if you have a MAC you should download the free iBooks app and open your .epub file. You can also download the different reader apps for your mobile device and test your book on your mobile device. See the following links. Does the cover look good? Does the table of contents work? Are your images in the right place? Do bullets and indenting show as indented? Are all the pages there? If everything looks great, you can stop here, otherwise, proceed to the next step. You can go back to step one and make sure you formatted things correctly and hope that solves your display problems, or you can edit your .epub file with Sigil—a powerful editor that allows you tweak your document to perfection. For full details on Sigil, see their online manual. Once you have successfully created your ebook, you are now ready for distribution. Please be sure to consider us for this step (select "distribute only"), as we have established accounts with Amazon, Apple (iTunes), B&N, Ingram, Scribd, Google Play, and Baker and Taylor. Congratulations, you now know how to create an ebook! If you have any questions, feel free to comment below, and we will do our best to help. Here's to your publishing success!